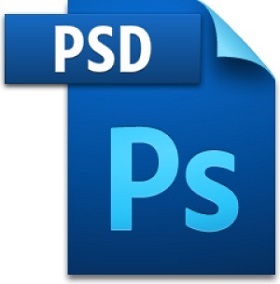 PSD is a Photoshop design file. Adobe's Photoshop is the most widely used software for web design and refining images to make them look like real world. It works best for the design-to-code process. Photoshop offers new and highly upgraded features for web designing. Photoshop also offers additional plugins to amplify its feature set. Adobe Photoshop is a software program which is perfect for imaging professionals as well as web designing professionals. The full utilization of its tools,functionalities and plug-in can design great pictures. PSD file contains various layers including transparency, special effects and more. It helps in creating design where each shape, text element and photo is on it’s own separate layer and with these separated layers you can edit each element quickly and easily. J2 Soft Solutions is a one stop solution to all your web designing requirements. We have fantastic team of creative, passionate and inventive web designers who very well know the design world around. Our designers seek out the solutions to problems you desire for. Our designers share your ideas and think out of box to make them real. We believe in perfection and it comes with passion.